There’s no denying that summers in Miami can get quite hot. Fortunately, there are plenty of great ways to cool off amidst the summer heat. But sometimes the best thing to do is use the ocean water that surrounds Miami and just jump right in, as this can be a good way to cool off and enjoy yourself at the same time. 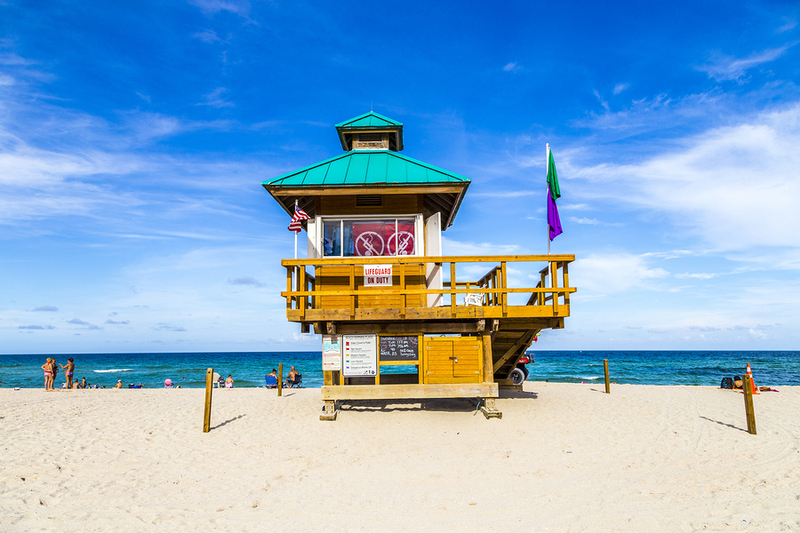 When you do that, your options are almost endless, but here are five awesome water activities that you have to give a try when visiting South Beach. With so many canals and groves amidst the intercostal waters in the Miami area, it’s the perfect area for exploring via kayak. It doesn’t take much expertise to maneuver a kayak, and there are plenty of places in Miami where a novice can rent a kayak and receive basic instructions on how to get around. Most importantly, there are several great places for kayakers where you can either explore plush green scenery or get a close-up look at the spectacular Miami skyline. If you don’t want to ride in a kayak, another option is to explore the waters surrounding Miami Beach via paddle board. 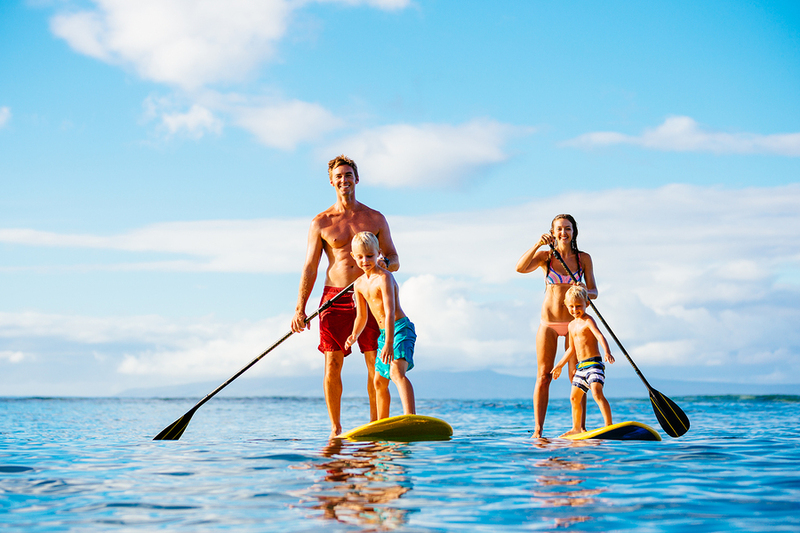 Paddle boarding is preferable to kayaking if you want to get out onto the ocean rather than working your way through canals and rivers. There’s a wide variety of options when it comes to the types of paddle board you want to buy or rent and the way you want to use it, so the possibilities with paddle boarding in the Miami area are almost endless, and no matter what one you choose you’re bound to have tons of fun. Fly boarding is a relatively new activity, but it’s really caught on in South Florida. Fly boarding is essentially wearing a jetpack that can propel you through the air, allowing you to do dazzling tricks and dance moves. The pack also enables you to swim through the water at a high rate of speed before you plunge through the surface into the air. 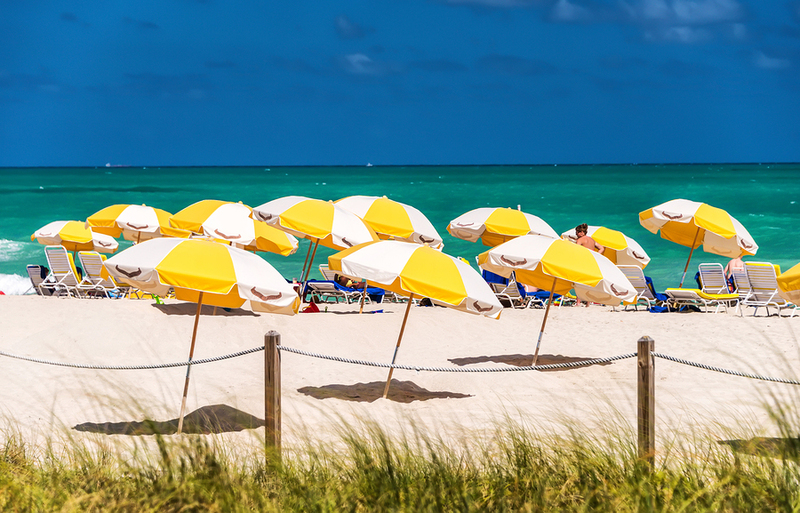 In short, it’s the perfect activity for the shores of Miami Beach. Not every water activity has to be a lot of work; sometimes you just want to sit back and go fishing, and there are plenty of opportunities to do that in Miami. In additions to beaches and piers where you can spend the day relaxing and waiting for the fish to bite, the Miami area also offers plenty of fishing charters that can take you to spots where you can go fishing for large and exotic fish that you’ll only find off the coast of South Florida. No matter what type of fishing you prefer, Miami has something that fits what you like. You can’t travel to a place like Miami and not go snorkeling. There’s no shortage of places to rent equipment and find experts willing to guide you on a journey to the ocean floor, so there’s no excuse for missing out on this great opportunity. In the waters around Miami, you’ll find the world’s third largest barrier reef, not to mention a world of brightly colored, tropical fish that look amazing up close. If you’re lucky, you may also see manatees, dolphins, or other larger ocean-dwelling animals that will make your day. Snorkeling in Miami is perfectly safe and makes for a great family activity. August in Miami can be an overwhelmingly hot and humid time of year, so much so that it just makes you want to sit by the pool all day. But at the same time, August is part of an exciting summer that’s jam-packed with cool concerts and events that will inspire everyone to get up and do something fun. Here is a look at some of the awesome events happening in Miami over the next month. Miami Spice is a two-month, city-wide event in which restaurants all over Miami put their best foot forward and showcase some of their signature dishes. Chefs also do their best to put together three-course meals for either lunch or dinner at affordable prices, giving everyone the chance to experience some of the city’s best restaurants. There are hundreds of restaurants in South Florida participating, so take advantage of this amazing opportunity over the next two months and eat as much as possible. If you’re a fan of dance, or just enjoy learning about other cultures, you have to find time to check out the three-day Afro-Cuban Dance Festival, which is being put on by the IFE-ILE Dance Company, with help from the Miami Salsa Congress. The festival will include workshops where you can learn a variety of dances, including the Cha-Cha-Cha, Mambo, Rumba, and more. You can even learn the art of Bata drumming. If you just want to be entertained, there are plenty of performances to take in, as well as parties where you can relax and enjoy yourself. The festival is August 11 to 13 at the Koubek Center, just south of Little Havana. This may not be for everyone, but there’s definitely plenty of people who will enjoy Monster Jam. It’s a particularly cool event if you have kids, as they will no doubt be in awe of the massive size of the vehicles and the show they put on. Between August 13 and 14, there are three performances at BB&T Center in Sunrise, Florida, and ticket prices are as low as $20. Ricky Martin may not be the pop star he used to be, but he’s still a big deal in the Latino community of Miami, and anytime he performs in South Florida, it’s bound to be a memorable show. This concert is one night only at the Seminole Hard Rock Hotel & Casino in Hollywood, Florida, and it’s not a concert you’ll want to miss. There may be no better way to say goodbye to August than with a concert from one of today’s biggest stars. Drake is coming to Miami’s American Airlines Arena for back-to-back nights at the end of August, and with two shows there will be no excuse for missing him. Your best bet is to buy tickets as soon as you can, giving you something to look forward to all month. 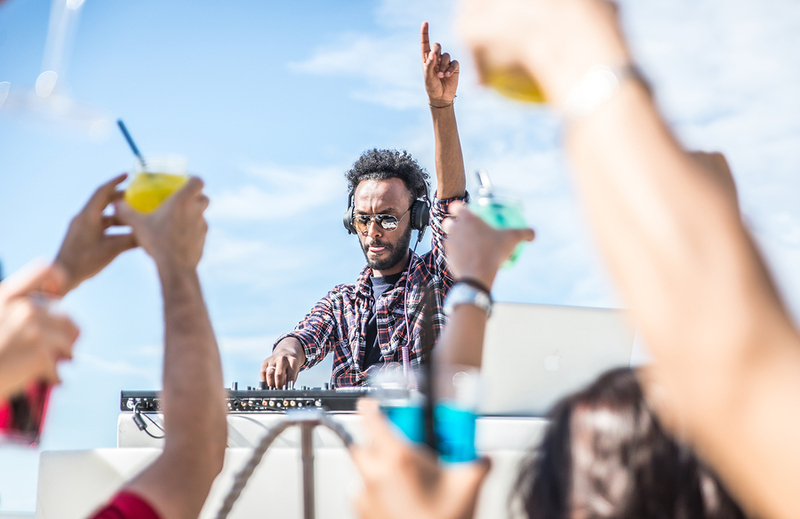 The 4th of July is always a good excuse to party, and if you’re lucky enough to be spending Independence Day in a party city like Miami, you’re in for a treat. There is no shortage of locations in and around South Beach for you to you to eat, drink, party, and enjoy the fireworks. Here are a few of the great places you can go in Miami to watch the sky light up on the 4th of July. 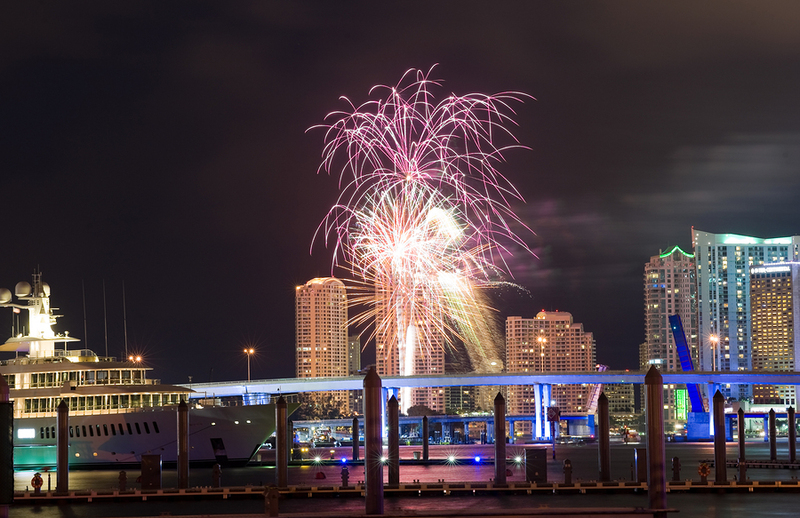 Bayfront Park is hosting one of Miami’s biggest Independence Day celebrations. The park opens at 10 a.m. if you want to get an early start, and the music at the amphitheater gets started at 2 p.m. In addition to the music, there’ll be plenty of food and drink available, as well as a Kids Zone for ages 2 to 16 from 3 p.m. to 7 p.m. The fireworks come your way at 9 p.m., and since the park is located right on the edge of the water, it’s bound to be one of the most spectacular fireworks shows you’ve ever seen. If you want a more low-key 4th of July, especially if you have kids, Peacock Park may be your best option. There will be face painting, balloon animals, and free ice cream, all things that kids of all ages will enjoy (and perhaps some adults too). Visitors are encouraged to bring their own chairs and blankets to hold a picnic. Activities don’t start until 6 p.m., and fireworks at the water-adjacent park are scheduled for 9 p.m. This is an all-day celebration for the people who get really excited about the 4th of July. It’s free and takes place at North Beach Bandshell on Collins Ave. starting at 9 a.m. It begins, as all days in Miami should start, with yoga on the beach. If that’s not your jam, don’t worry, because the food trucks start showing up at 11 a.m., providing plenty of great culinary options for the special occasion. From noon until 5 p.m. there’ll be a DJ handling the entertainment, turning things over later in the evening to performances by Family Stone and Grand Funk Railroad. Finally, it all comes to a brilliant end with the fireworks show at 9 p.m., which can be seen while overlooking the ocean on North Miami Beach. If you like parades, the place you want to be on Independence Day is Key Biscayne. The parade on Crandon Boulevard will feature marching bands, patriotic floats, jets flying overhead, and much more. 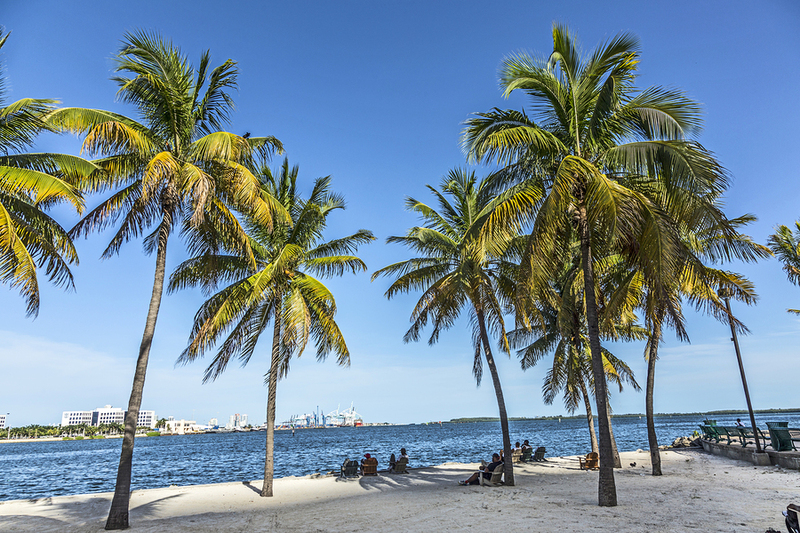 Afterwards, you’re encouraged to spend the rest of the day exploring all that the island of Key Biscayne has to offer, including Bill Baggs Cape Florida State Park and Crandon Park, two of the most picturesque parks in the city of Miami. Not only are those great places to have a picnic or barbeque on the 4th of July, but also if you stick around until 9 p.m., you’ll have great seats for the fireworks show that takes place right over the Atlantic Ocean. Miami is a great city to spend any holiday, and Father’s Day (which is coming up, by the way) is no exception. Instead of taking the father in your life to the fanciest restaurant you can afford, like you probably do on Mother’s Day, Father’s day requires some creative thinking. Fortunately, in Miami there is no shortage of places that dads of all kinds will enjoy. 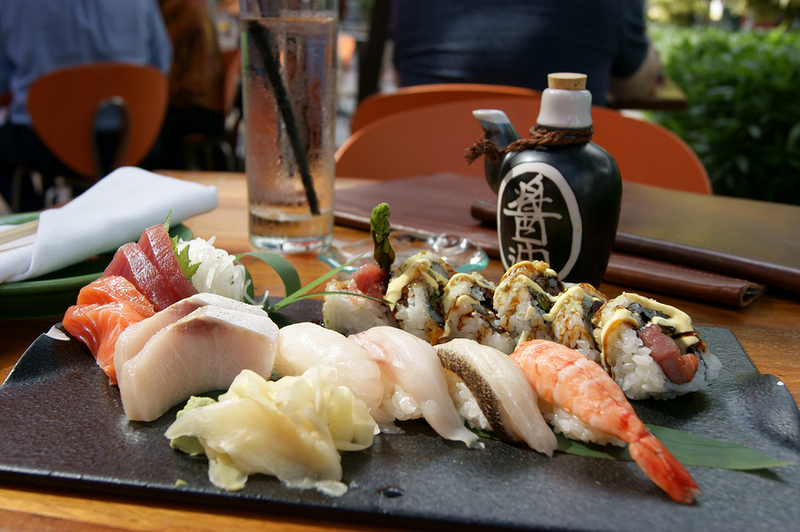 Here are just a few of the great places in Miami you can take your dad on Father’s Day. If you know a father who loves art, or just one who likes doing new things and having unique experiences, Wynwood Walls is a great place to visit on Father’s Day. Wynwood Walls is one of the top places for art lovers in Miami and a great place to spend the day walking around. Some of the murals on the walls will have anyone in awe, regardless of whether they’re a fan of art or not. It’s also a great place for the entire family to spend a day and provides the perfect backdrop for family photos. There are also plenty of places to grab a bite to eat nearby, so it’s easy to make it a day of hanging out in Wynwood on Father’s Day. Few activities in the world are geared more towards fathers and sons than attending a baseball. Fortunately, Miami’s major league team has a home game on Father’s Day, making tickets to the game the ideal Father’s Day present. You can go to a nice brunch in the morning and then head out to the game and spend all afternoon at the ballpark. If your dad’s a baseball fan, he’ll think it’s the perfect way to spend Father’s Day. Of all the places in South Florida for animal lovers, Jungle Island may be the best option for Father’s Day. 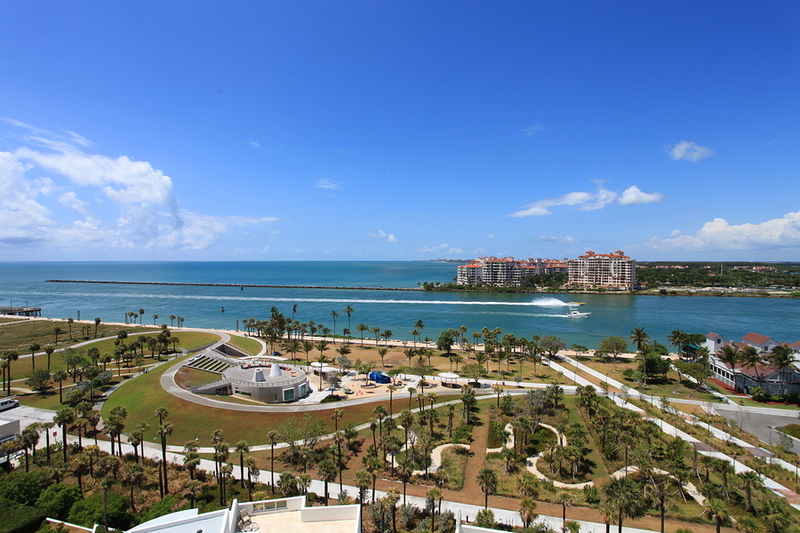 It’s affordable, conveniently located on Watson Island, and it has so many interactive exhibits and events that there’ll never be a dull moment. Since it’s a special occasion, it’s a great time to spring for one of their VIP Safari Tours, giving your dad up close and personal interactions with animals that he’ll never forget, ensuring that he has a memorable Father’s Day. If you’re not going to be creative on Father’s Day and just want to treat your dad to a nice lunch or dinner, the least you can do is go all-out and take him to the nicest spot you can find, which is the Edge Steak & Bar located in the Four Seasons Hotel. As you can guess from its name, steak is kind of their specialty, so there’s no doubt your dad will be able to get a delicious meal. 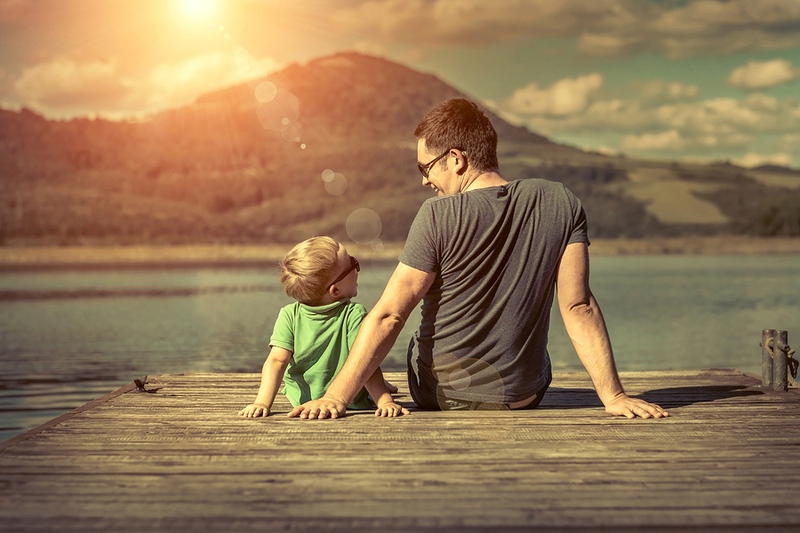 The location is perfect too, right near the water on Brickell Avenue, so afterwards you can always wise up and finding something fun and creative nearby to do to treat your dad to the Father’s Day he deserves. The summer heat is here, and that means it’s officially summer concert season. In terms of attracting high-profile musicians, the city of Miami is one of the best in the country. The city has plenty of great venues for live music and offers an enticing environment for top artists to perform. The month of June is loaded with great options for music lovers, and here are five concerts in Miami this month that you have to check out. What better way to kickoff a summer of great concerts than a Friday night performance from one of today’s hottest pop stars? Ellie Goulding is stopping off at American Airlines Arena in Miami for one night only as part of her Delirium World Tour. She’s fresh off her first Grammy nomination earlier this year and she has three albums worth of material to perform, including her latest hits: “On My Mind” and “Love Me Like You Do.” You can’t afford to miss out on an opportunity to see this British pop sensation at the height of her popularity. This show is another chance to spend a weekend night attending a great concert at American Airlines Arena, and it’s a double-bill no less. DNCE, the new band from Jonas Brother, Joe, is starting to make waves throughout the music industry, and now is the time to see them in concert. If that’s not enough, then surely you’ll come out to see headliner Selena Gomez. Her second album, Revival, already has three top-10 singles, as she begins her ascent to the top of the music industry. With all the acting that she does, who knows when Gomez is going to tour again, making her one of the marquee singers to see in concert this summer, an opportunity too good to pass up. An outdoor concert in Bayfront Park featuring two of the best rock bands of the past decade, it doesn’t get much better than that. Okay, technically, Weezer is one of the best bands of the past two decades, but they’re still going strong and the band’s last two albums have taken them back to their roots and been among the best they’ve produced to date. Weezer has so many hits that you can’t miss out on the chance to see them live, and adding Panic! At The Disco to the equation only sweetens the deal. This show should bring together music fans old and young alike, and with two performances in Bayfront Park, there’s no reason to miss it. The Cure has been going strong for 40 years, an amazing accomplishment, and in concert they roll out hit after hit for your enjoyment. The Twilight Sad don’t quite have that much experience, but they bring plenty to the table, and in a way, they are the perfect musical complement to The Cure, making for a great concert. Even if you’re tired from enjoying all the other concerts in Miami this June, you should still make the short trip to West Palm Beach to cap off the month of June with Steely Dan and Steve Winwood. These are two acts that have been around forever and always put on a good show. Just sit back, relax in the open-air amphitheater, and enjoy two of the finest acts the music world has to offer; it’ll be the perfect way to finish off a month of amazing concerts.